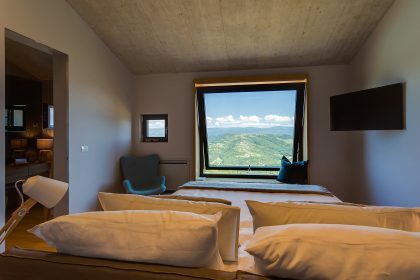 Istria is renowned for its delectable truffles and truffle-hunting tours can be easily arranged. 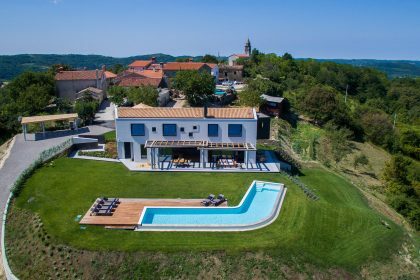 For the wine-lover Istria has many local vineyards which offer excellent tastings, including the award winning Benvenuti in the town of Kaldir. 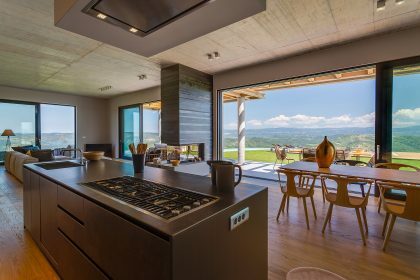 The culinary delights do not stop here – the area is home to some fabulous olive groves, producing some truly delicious oils. 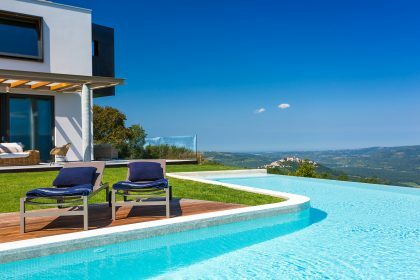 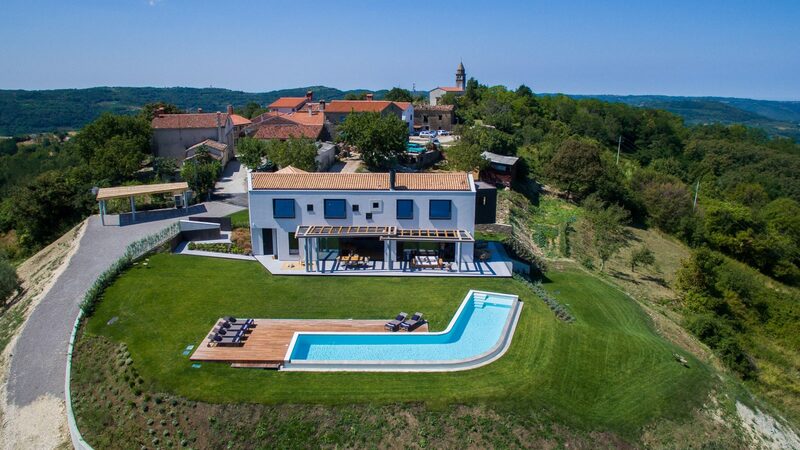 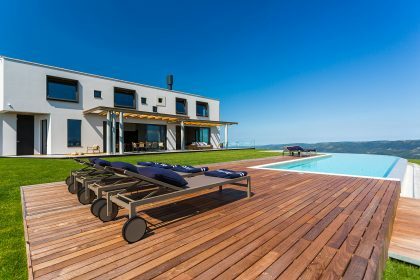 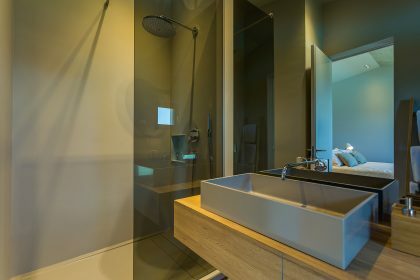 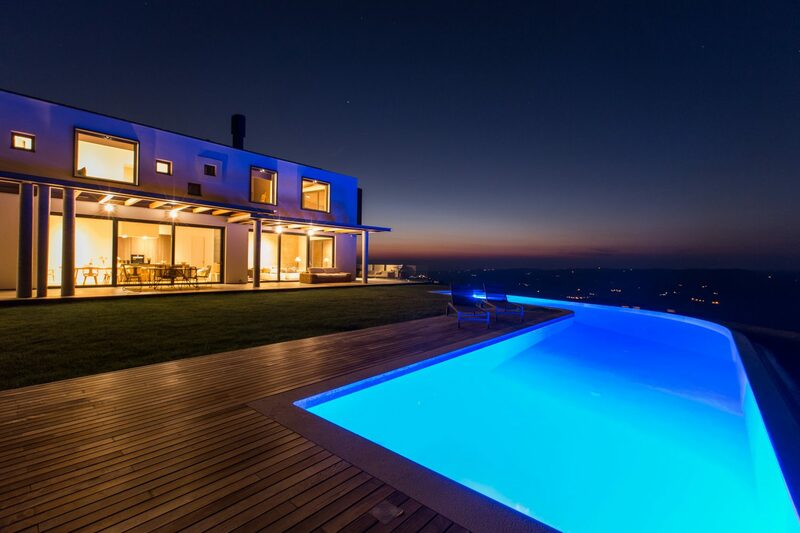 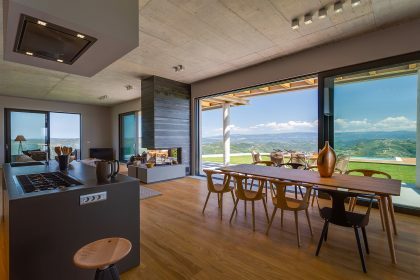 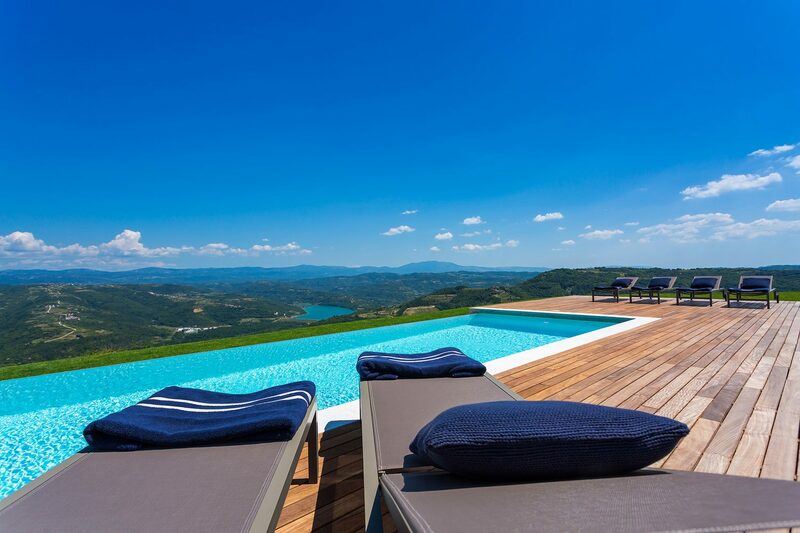 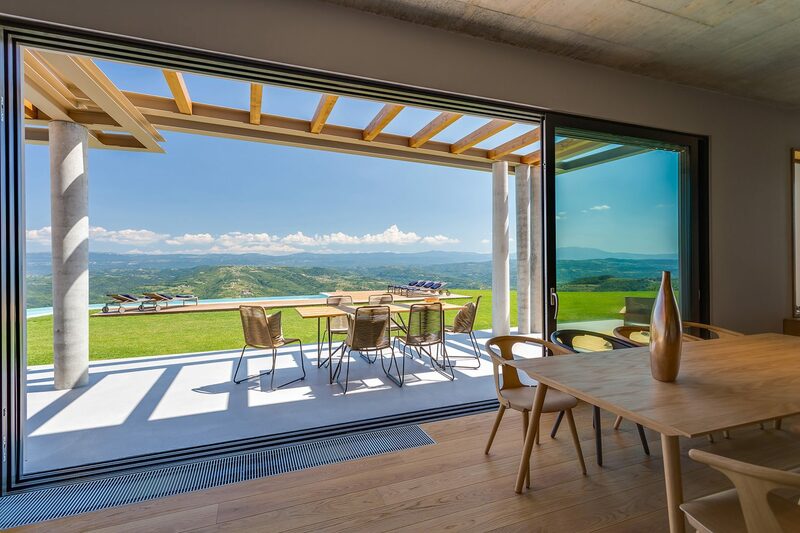 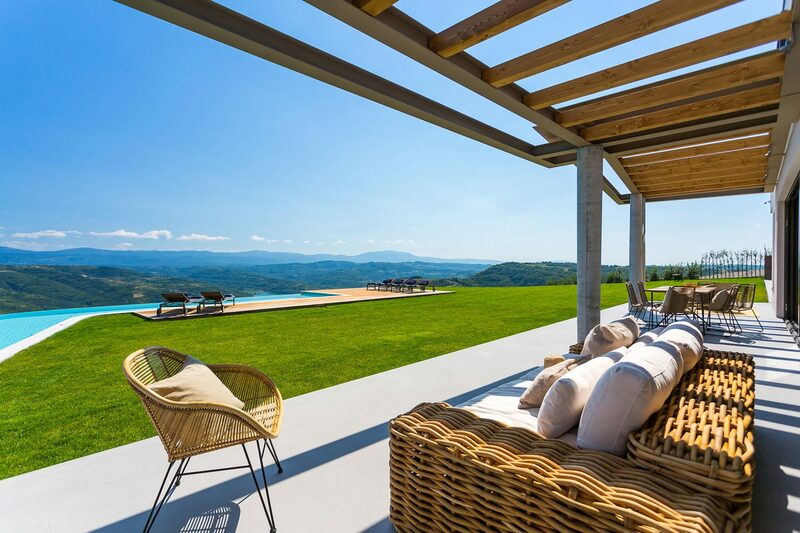 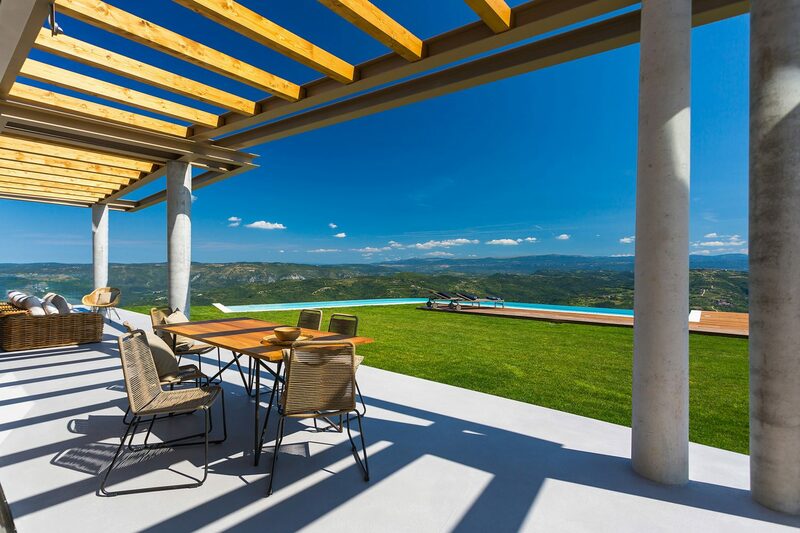 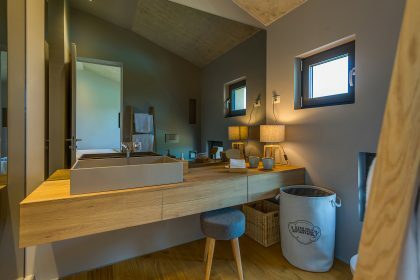 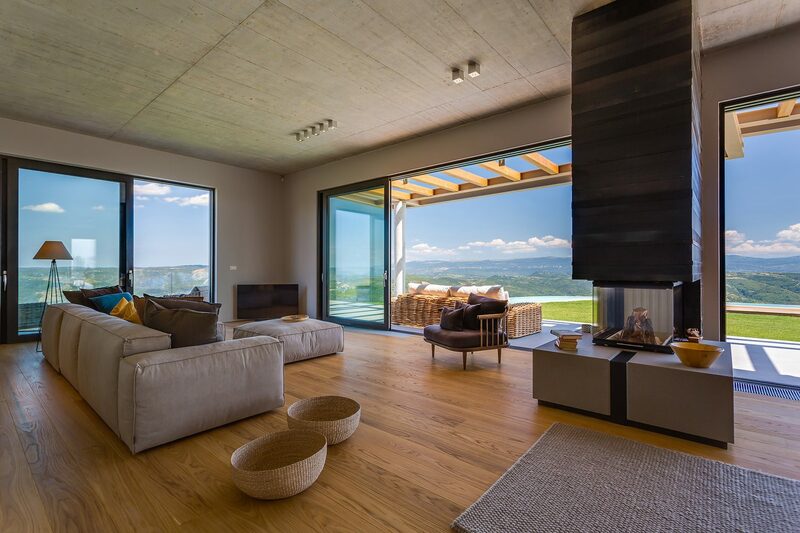 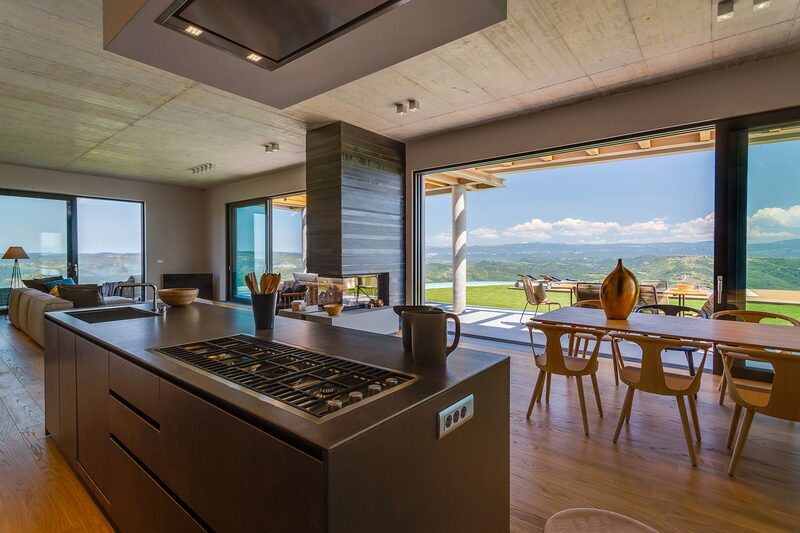 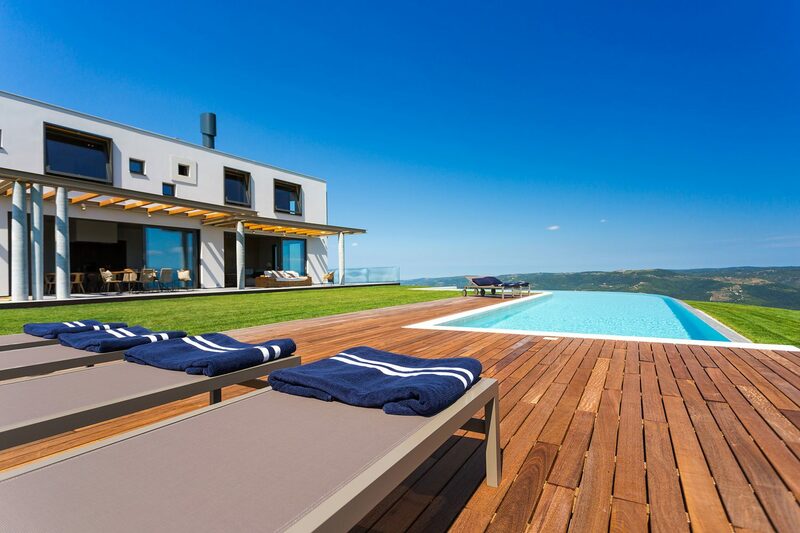 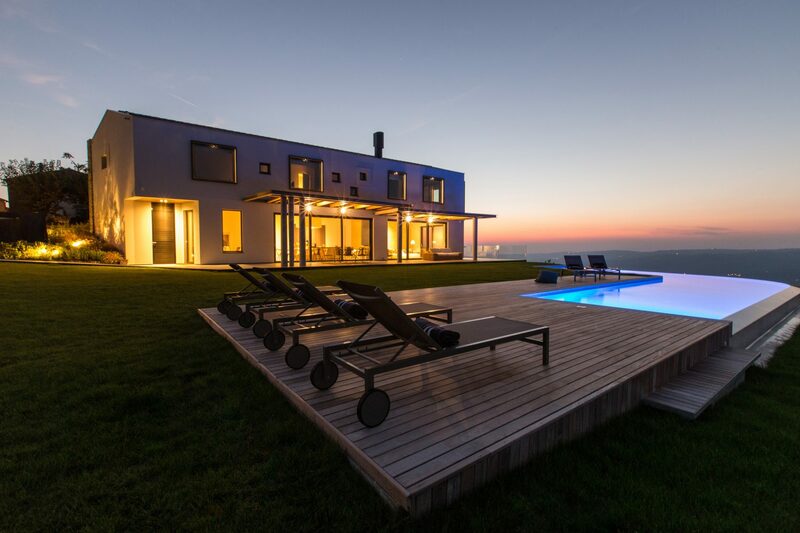 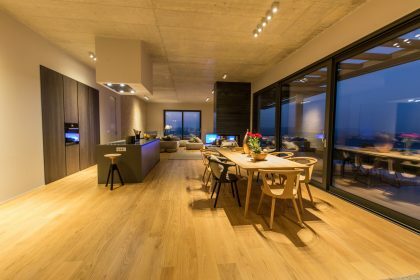 This house is set on a hilltop on the edge of a tiny hamlet and boasts the most spectacular views across the stunning Istrian countryside. 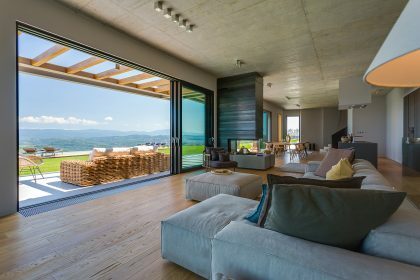 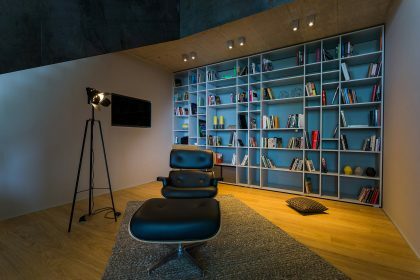 The house has been recently converted with contemporary interiors, all mod cons and glorious grounds. 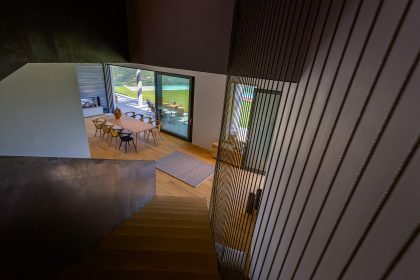 Inside the house has 3 double bedrooms, all with en suite bathrooms and all super comfortable, a large open plan sitting room with fabulous kitchen and a library perfect for chilling in in the shade and a great space to use to get any children out of the midday sun. 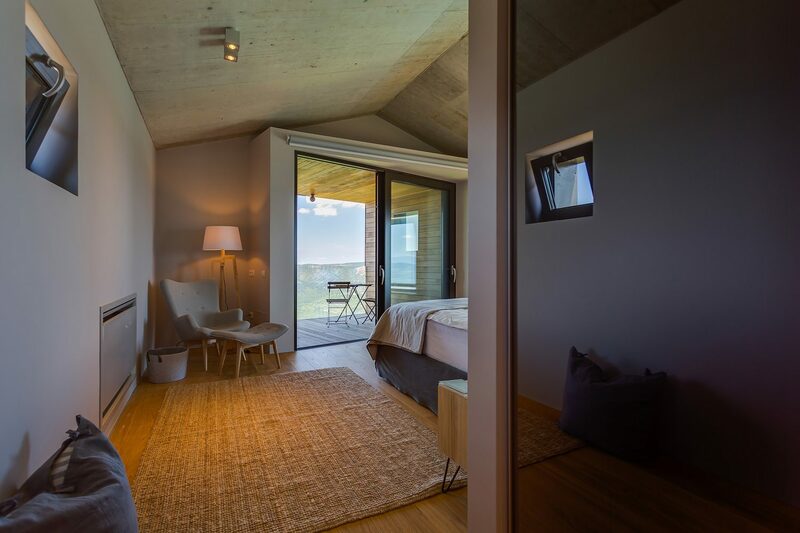 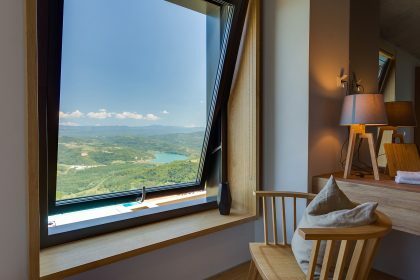 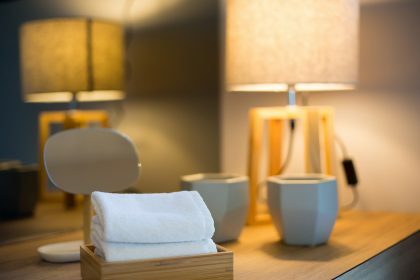 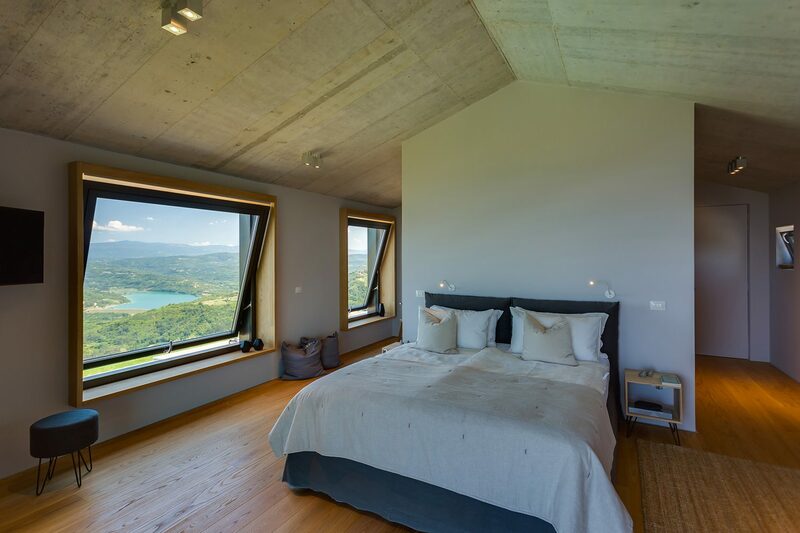 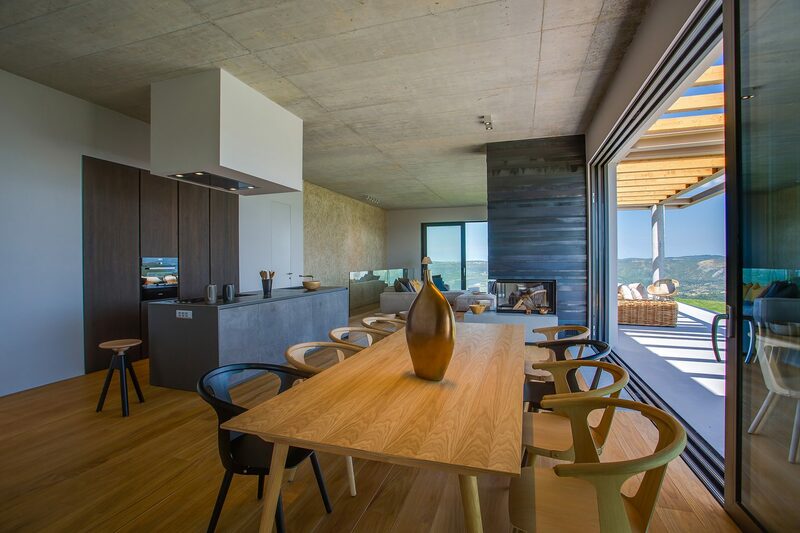 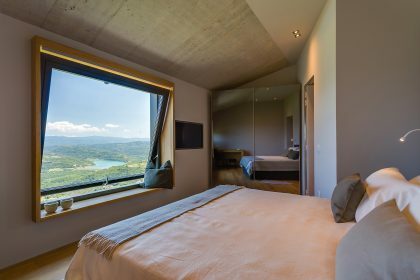 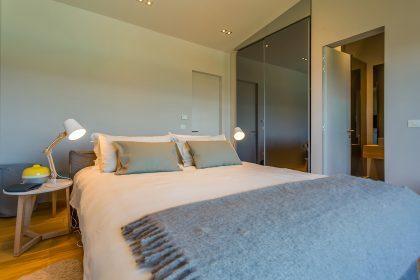 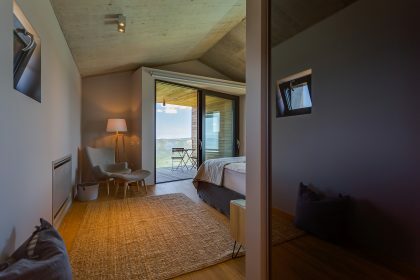 Each bedroom has enormous windows which face the view, each is a good size with modern furniture and wooden floors. 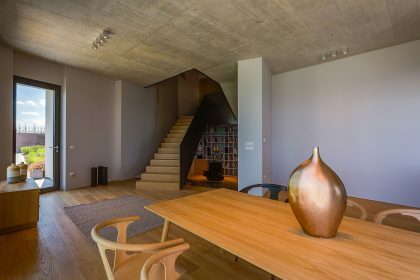 The furniture is Scandi cool, very high quality, beautiful wooden chairs, hand made baskets and modern sculpture all come together to create this glorious space. 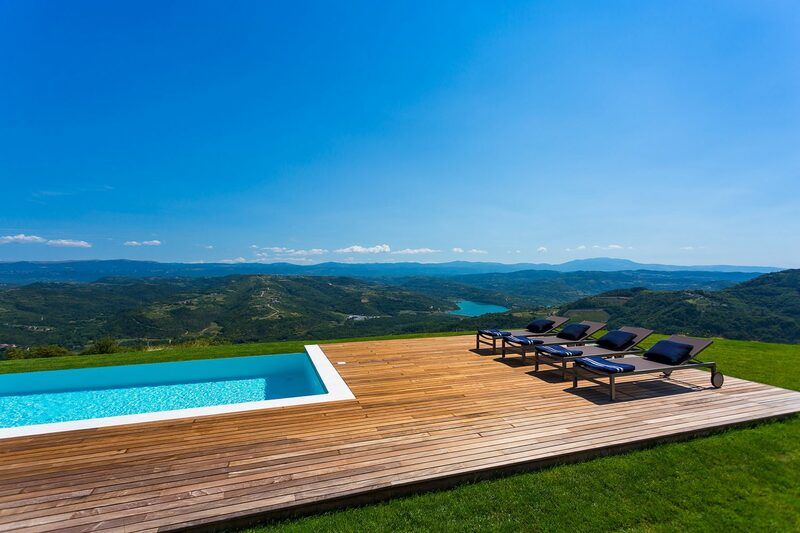 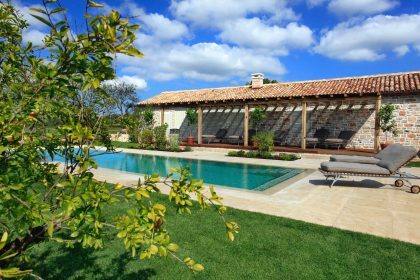 Outside the beautiful swimming pool has teak on one side (so comfortable under barefoot) and lawn surrounding the other sides – the pool enjoys the same amazing views as the house. 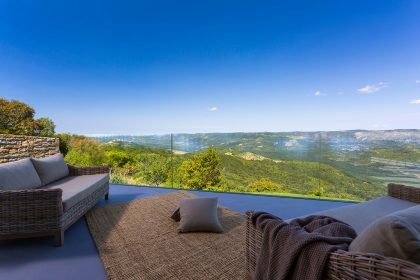 The uninterrupted views of the Istrian hills will distract you from your latest bestseller and will keep you going all winter long. 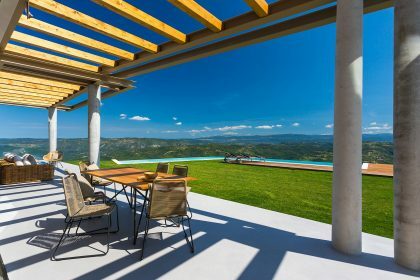 There is a large eating terrace which also has comfortable seating, the perfect spot to sit in the evening and enjoy something cold while watching THAT view. 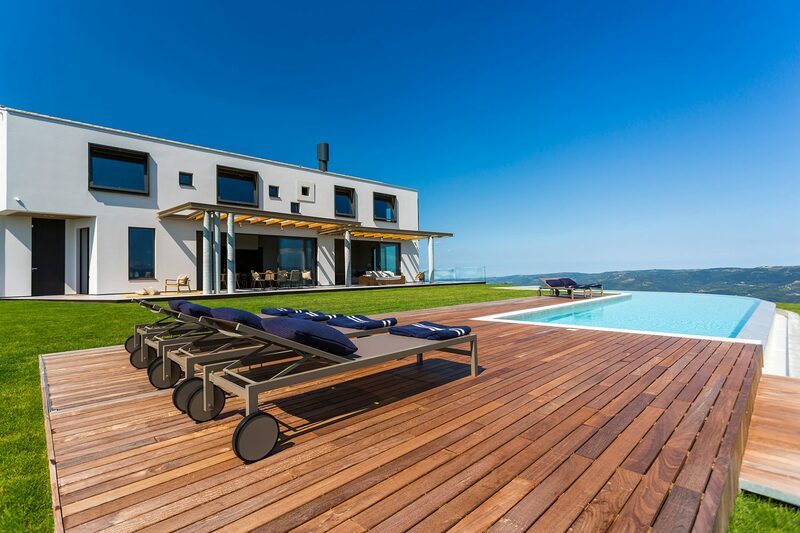 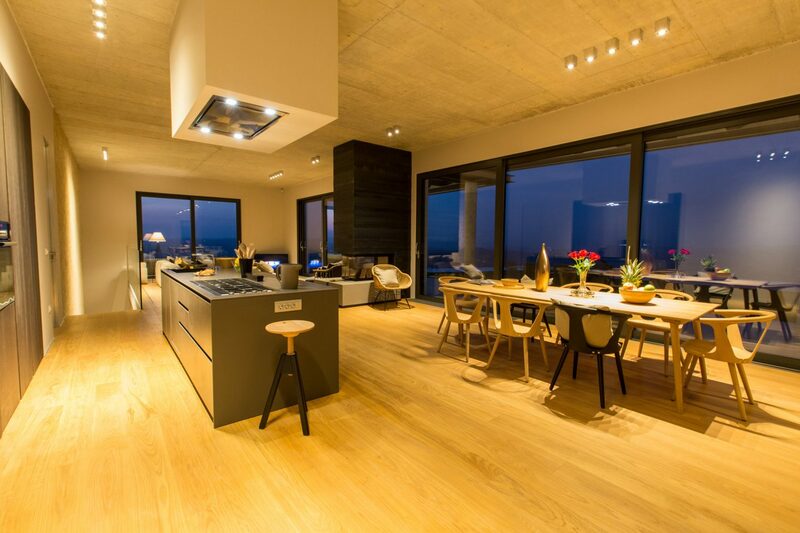 This is a truly lovely and extremely stylish house which is and one we know you will enjoy.